Innovation - the secret of an all-Italian success story Riello UPS offers a vast range of products, organised into 22 ranges of uninterruptible power supplies (UPS ), based on several different state-of-the-art technological architectures. Thanks to its two research centres in Legnago (Verona) and Cormano (Milan), world-class examples of excellence for the design, development and testing of uninterruptible power supplies, Riello UPS can constantly innovate its product portfolio, keeping it at the top in terms of performance, reliability and competitiveness. In addition, Riello UPS often provides ad hoc solutions in the event of large tenders or commissions. These solutions are based on the specifications provided, demonstrating the company's attention to customer needs. 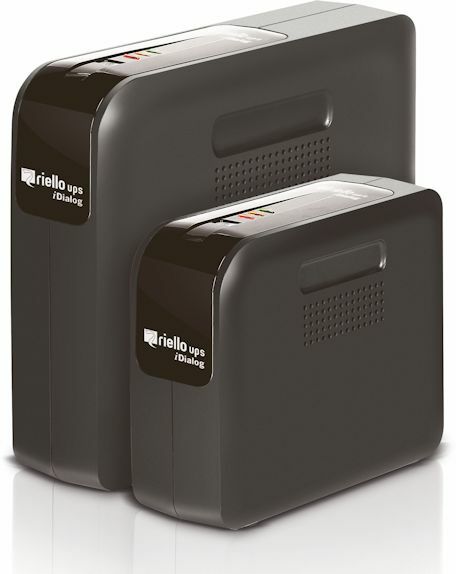 Riello UPS designs and manufactures its UPS in Italy. This is so it can maintain direct control over quality and reliability standards, closely following the entire manufacturing process, sales and aftersales service, and provide a process of continuous improvement, monitoring customers' opinions and using them to make rapid adjustments to optimise features as required by the market. This process of continuous improvement, as well as having a direct effect and benefit on sales and after-sales service, helps to further consolidate Riello UPS 's image as a reliable, dynamic and quality-oriented company. It doesn't stop here however: the solid results achieved by Riello UPS in the development of UPS solutions equipped with completely innovative and cutting-edge technologies such as the PowerBox, SuperCaps UPS , and Smart Grid Ready UPS , i.e. ready for intelligent power distribution grids which represent the future of energy supply, are the best demonstration that innovation and quality really are the secrets of Riello UPS 's success. Innovation: first target for R&D. Riello UPS manufactures solutions that ensure uninterrupted and quality power for business continuity. Riello UPS is constantly developing solutions that are aimed at increasing power quality, reducing power consumption, increasing efficiency, actively participating in the promotion of sustainability. Riello UPS invests in environmentally friendly projects involving the development of new technologies for harvesting clean and renewable energy sources. Riello UPS' social commitment aims to help the present as well as shape a bright future, combining the inevitable need for energy with environmental protection. Riello UPS is ISO14001 certified. Riello UPS has always been a strong supporter of the Code of Conduct on Energy Efficiency and Quality of A/C Uninterruptible Power Systems, a document signed by the major European manufacturers of UPS addressed to the European Commission and globaly accepted. Enhanced efficiency targets for power ranges from 300 VA to >200 kVA, from 25% to 100% loads. Riello UPS is also the first European Manufacturer to identify its products in terms of ECO energy efficiency ratings.